Oil rig foreign workers have come under attack from pirates operating in the Niger Delta, and Algeria – workers have been taken hostage, gas and oil production has been significantly been reduced. No oil company can tolerate attacks on their staff. Apart from the human cost, terrorist attacks severely affect production. High risk areas include the Gulf of Guinea on the west coast of Africa and the Gulf of Aden, Northern Indian Ocean and the Northern Mozambique Channel. Hov Pod now offer Carbon Fibre / Kevlar-protected oil rig security hovercraft to deter attackers, and pursue them into shallow water areas. 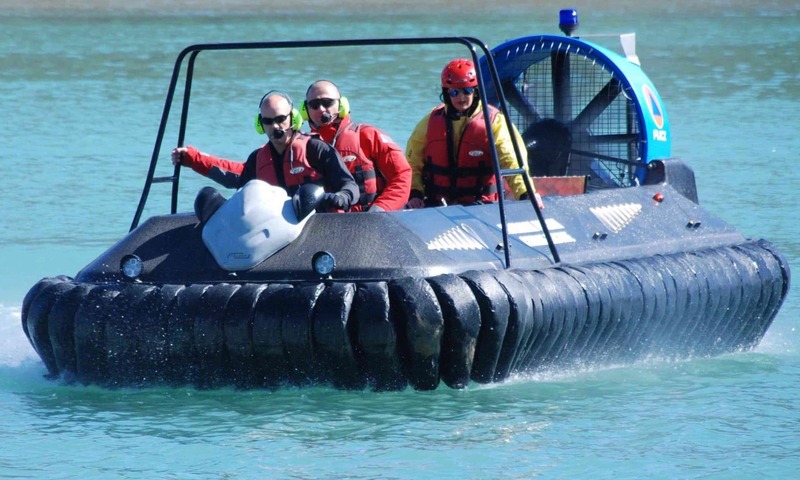 Hovercraft can be operate via remote control, and employ drones with live-streamed night vision video cameras to orchestrate deterrent operations. Strong defence deters attacks, and off-shore technology is now available to protect workers, maintain production. Hov Pod also partner with specialist drone manufacturers to provide complete defence packages. Drones can be supplied configured with infrared night vision cameras, remote, autonomous or tethered drones. Drone range can be extended through the deployment of automatic robotic battery exchange systems. Hov Pod supply drones capable of lifting 50 Kgs so a number of additional equipment can be added to deter terrorist attacks.